The Sanctuary Choir is a 40 to 50-member SATB (Soprano, Alto, Tenor, Bass) choir under the direction of our Minister of Music, Garry Kesler. 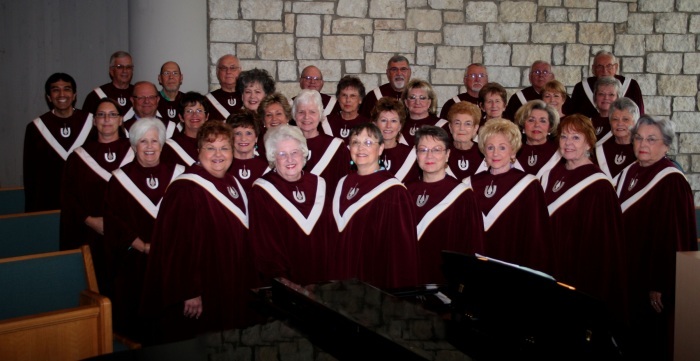 The Sanctuary choir rehearses Wednesdays at 3 p.m. September through June and provides music for the 11 a.m. service during that period and for special services. The Sonrise Singers are a new choir formed in the Fall of 2015 that provide music for the 8:30 a.m. service and practice on Wednesday’s at 10:00 a.m. Fellowship and learning activities are also a part of the choir’s year. If you are interested in participating in an exciting, high quality Christian choral experience, email Garry. Prior choral experience is helpful but by no means required. 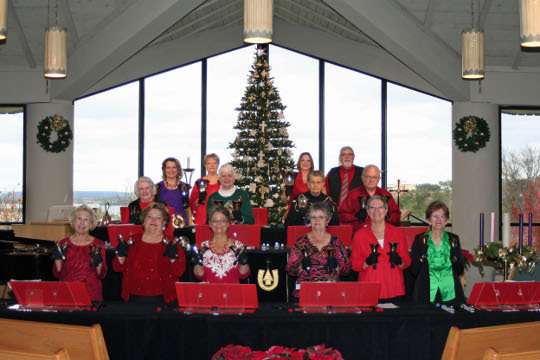 The Handbell Choir is a 15-member group under the direction of directors Garry and Michele Kesler. Handbell Choir rehearsal is held each Wednesday from 12:30 to 2:00 p.m. in the Music Building. Email Garry or call the church office if you are interested in being a bell ringer!